VETERAN former West Indies Twenty20 World Cup winning leg-spinner Samuel Badree, has implored Caribbean spinners to improve on their consistency, patience and variety after seeing Devendra Bishoo and Ashley Nurse’s disappointing performances in West Indies first One-day International versus India. The Barbados and Guyanese duo suffered at the hands of India’s dominant batting pair of Virat Kohli and Rohit Sharma, conceding expensive overs with figures of 7-0-63 and 10-0-72-1 respectively. Badree, for both TT and West Indies, regularly formed an effective partnership with Sunil Narine, who is not with the 50 overs squad and strangely the T20 squad to India. Pierre, despite being selected in the T20, was not fast-tracked into the ODI team based on Caribbean Premier League 2018 performances, similar to Jamaican fast bowler Oshane Thomas, all-rounder Fabian Allen. Since Narine last played a 50 overs game for West Indies in October 2016 vs Pakistan, Nurse has taken 37 wickets in 36 games at 41.16 starting from his debut in November 2016. Bishoo on the other hand has 16 wickets in 19 games at 53.36 in Narine’s absence over the same period. He hasn’t been able to provide West Indies with the same modern leg and wrist spin cutting edge as Badree did in T20s, along with other teams leg-spinners such as Kuldeep Yadav, Yuzvendra Chahal, Shadab Khan, Adil Rashid, Rashid Khan, Fawad Ahmed, Imran Tahir and Ish Sodhi. “I think Bishoo is not too confident in his googly and has become a one dimensional bowler which makes it much easier to face as a batsman. He needs to bring back that art to his game to be effective. “Also, it’s difficult to compare spin bowlers against our batsmen and spin bowlers against Indian batsmen so I won’t be too critical of him”. Other notable regional leg-spinners include Red Force’s Imran Khan and Jamaican Damion Jacobs. Badree concluded by giving his thoughts on whether he thought they might be worth a try at the highest level, “Our regional spinners need to improve their consistency, patience and variety if they are to pit themselves against international opposition. “I can tell you that bowling in Super50 is a huge difference when compared to international cricket. Players at ODI level are prepared to take on the bowling and scoring 300 or 350; players are more content with 230 or 250 and batting the overs. 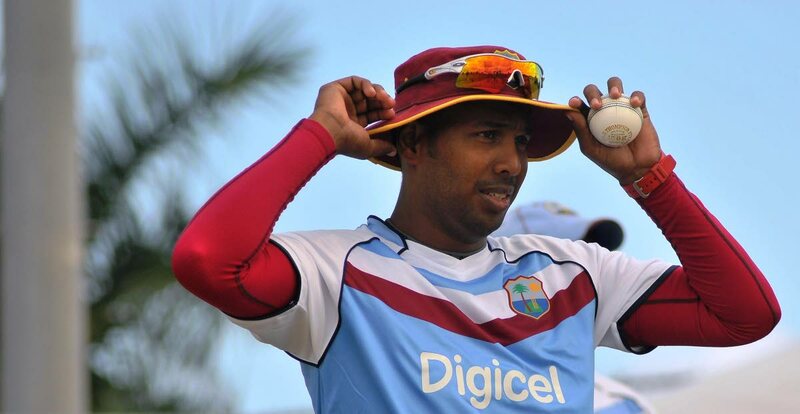 Reply to "Badree: Caribbean spinners need improvement"